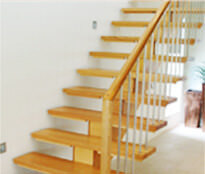 Since 1947 Eric Jones has been manufacturing quality stairs to clients all over Victoria. Our products can be found in commercial buildings and homes throughout the region. You can learn more about our products and services by reading these frequently asked questions. Will your stairs fit in my home? 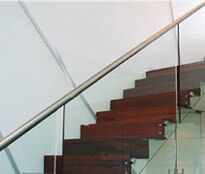 I’m looking for the best steel stairs Melbourne has to offer. Why should I choose Eric Jones? What styles of staircases do you offer? I’m a builder. Do you offer kits? 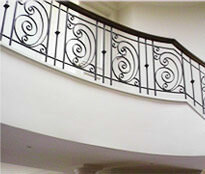 Do you sell balustrades and handrails? What kind of material should I choose? 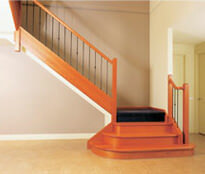 You can take a look at some of the staircases we have manufactured and installed on our gallery page. They can be custom made to fit in any home. They vary in size so we will need to know how much room we have to work with in order to determine which style will be most suitable for your home. Eric Jones is a Registered Building Practitioner. For commercial projects, we are fully EBA compliant. We guarantee that our products are made from the highest quality materials and our workmanship is second to none. We take no shortcuts during the manufacturing process, so you can expect the best. For more information on Eric Jones and the best stairs Melbourne has to offer, call us at 0(3) 9874 0411 or contact us online.